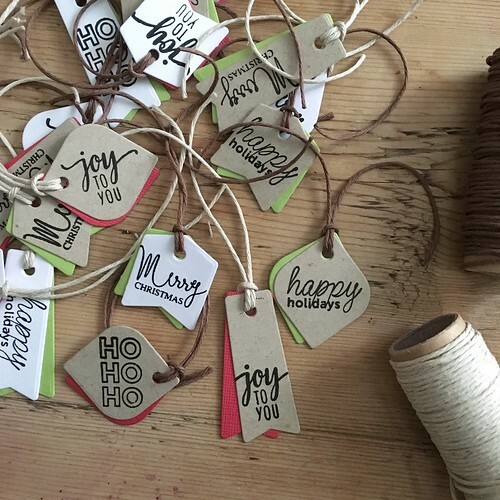 Sharing a short and sweet post about these itty-bitty gift tags I created to go along with some gift boxes I’ve been making! To create the tags I first used some tiny tag dies that I got from Simon Says Stamp, which I don’t think are available anymore. These are similar. I cut the tags from white and craft card stock and stamped various sentiments from my Mama Elephant Mini Messages stamp set in Versafine Onyx Black ink. 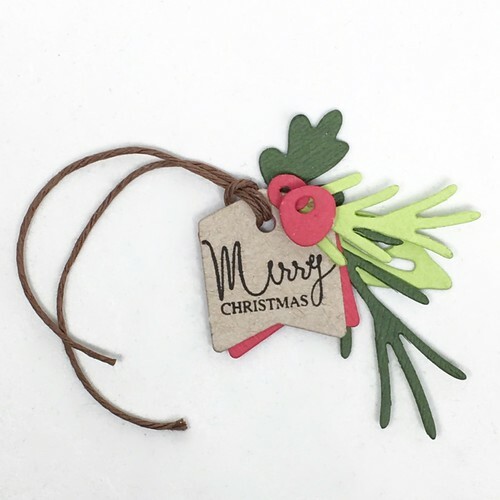 I decided the tags looked a bit too plain on their own, so I cut some more tags from red and green paper, and then offset the colored paper behind the stamped pieces and stuck them together with some double sided tape. 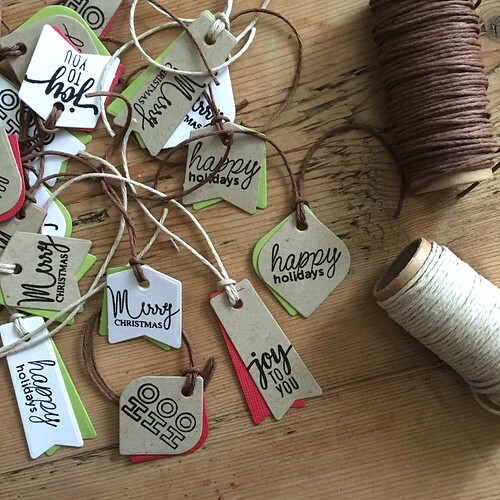 I then ran some twine through the tags to finish them up. I decided I wanted to jazz up a few of the tags even more, so I took out my Woodland Basics dies and cut several shapes from some different colors of cardstock. Some of the die cuts were way to big for me to use on my tags, but the smaller dies turned out to be the right size. The above photo isn’t great, but I wanted you to be able to see some of the die cuts! This is a really great stand-alone die set. I especially love the pine needles! 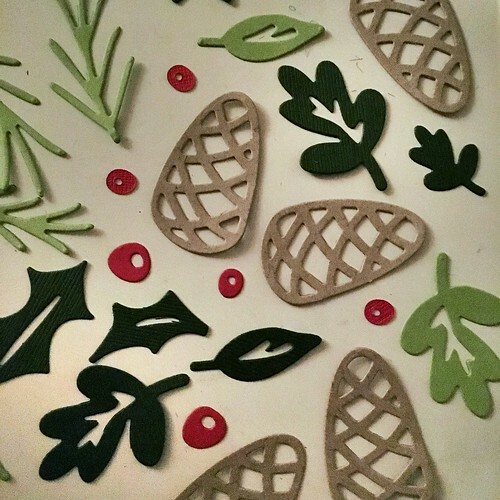 So, I added some sprigs and berries here and there until I ended up with something I was happy with, gluing each piece onto the front or back of the tag as I went along. I only did this on a few tags but I really love how they turned out. Don’t forget to check back for tomorrow’s post to see how the tags look when I put them on the goodie boxes!